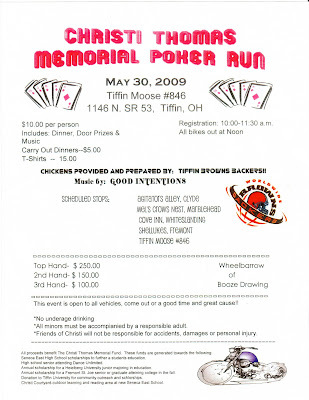 Here is the information about the sixth annual Christi Thomas Memorial Poker Run for anyone who may be interested in attending. This yearly fundraiser brings about $2,000 to the Christi Thomas memorial fund. In just a few weeks, we will be presenting more C.T. Scholarships to deserving Seneca East graduates and Fremont St. Joe graduates heading on for higher education. More Christi scholarships for graduates from Dance Unlimited will follow that in early June. Sorry I cannot update about Shayla's school experience right now. It just makes me too sad. I love her so much and it's hard to see her so unhappy about this big change in her life. 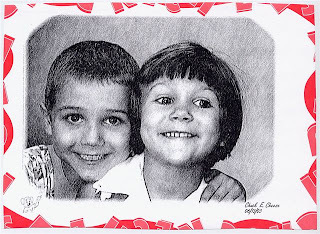 (PIC: Taken at Chuck E Cheese)It's all wrong! Those were the words spoken to me regarding Shayla's new school as she went upstairs to bed last night. I knew enough to keep my mouth shut but I wanted to explain, "It's not wrong; it's "different"; it's "new", but I knew at that point just to be silent and respectful. I know this is very hard for her. Shayla wouldn't admit it I'm sure, but I do think day #2 was a wee bit better. As soon as she got off the bus she hopped in my van (said it was "the same as the first") and we drove into town to the school she will go to for the city school's HEIGHTS program, a full day pull out program for high cognitive kids. I absolutely fell in love with her gifted teacher. The woman is amazing! I could go on and on about her background and experience, but I don't think there's enough room here. Our meeting was only to last 30 minutes, but it lasted nearly 2 hours as I really hit it off with the teacher (and Shayla did too). I then had to rush to Heidelberg to teach so I didn't really get any information out of her. Shayne took her home and then right back to "The Music Man" practice. She starts HEIGHTS today; hopefully, that will be a positive experience for her. (Her complaints are not about people, but "things" so I know she's fine.....the building is old, the toilets don't or won't flush, etc.) I know she's in good hands (but that doesn't make me rest any easier knowing what I've done to her). THANK YOU SO MUCH FOR THE KIND, VERY, VERY KIND and THOUGHTFUL COMMENTS LEFT FOR HER! Amazingly sweet! Now I would NOT say that today was Shayla's worst day ever, but someone around here will disagree with me. And I feel horrible, really sick about it all. As we were getting ready for church Sunday morning, Shayne whispered to me, “How long do you think it will take Shayla to ask for a later bed time?” (Because her new school starts a bit later and because she doesn’t have to leave early to make a bit of a drive and to make the required teacher arrival time at S.E., she’ll get about an additional hour of sleep each morning.) Well, Sunday night, sitting by the river eating sandwiches in between her dance program rehearsal and her “Music Man” rehearsal she said to us, “Since I can sleep in an extra hour does it mean my bedtime is an hour later now?” Although we had not discussed it, we both said in unison, “No”. Shayne said that Shayla got really worried when it was time to actually go to the new school this morning, but he thought it went well and that she did fine. He said he really liked her teacher and that the secretary was very nice. I know she’s really able to handle herself remarkably well for her age, but I still wondered about her all day and prayed she was doing well. Well, I waited out in the drive way to meet the bus in case the driver had any messages for me. It was a sub and Shayla stomped off saying, "Why did you take my picture? Delete it." This was quite shocking to me, but it went on and on, all the way to dance practice. She was silent the way home, but then took it up with Shayne when he called and she answered saying, "What?" (Can this really be Shayla? YIKES!) I understand she complained to him all the way back up to Music Man practice tonight too. Oh, my! Shayne and I are shocked because this kid really does NOT complain. I can only hope and pray that tomorrow will be a better day, but I'm not holding my breath. Hopefully God will hold it for me because I'm feeling quite ill and needing some support from Him. Shayla wanted to take the camera Friday to take pictures of all of her classmates so I let her. She took about 77 pictures. (Like mother, like daughter - haa haa!) Here are the three pictures she was in. 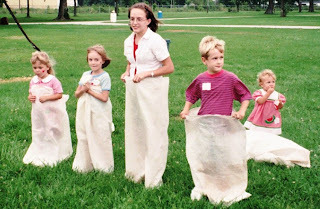 I thought they were all "great silly kid - happy tests are over" pictures! It was a pretty sad day, but I think also a very good one. She asked Thursday night if she could buy ice cream for a whole table full of girls at lunch and we told her yes. (The last time I put money on her lunch account, I did not realize she would be switching schools in a matter of days!) 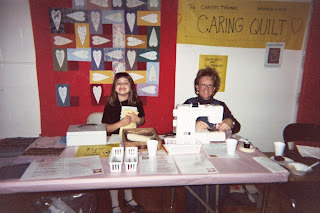 She also made certificates for many friends and labels that said, "I'm not moving; I'm just switching schools. We can still keep in touch" and she included her telephone and email address. I could not believe all of the sweet things her friends did for her Friday - and how tearful they all were. This is truly a knife through my heart, yet I think it may very well be a much better place for Shayla to be - going to school where she lives (a novel idea, hee hee) and to a much bigger school district with many more opportunities and offerings. These two have been through so much together! I know they will really miss each other! 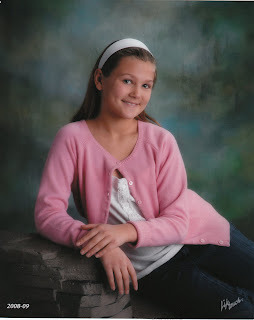 Shayla was only three when Christi was diagnosed with cancer. Caroline babysat for Shayla, dressed up like Scooby Do characters even, took her to the zoo, did fraction math with candy bars, took her trick-or-treating, etc., etc., etc. while we needed to be with Christi. I will never forget May of 2006 when we were all in Philly together (as Caroline came to help me out with Shayla while Shayne was back home working) and just the two of them were booked on flights out of Philadelphia to fly back home when suddenly Christi got discharged and I called them, delayed at the airport to say, "Come back to the hospital we're all taking an Angel Flight home together TODAY!" (She had been entertaining little Shayla by playing "Catmonopoly" on the floor of the airport.) Caroline is an amazing teacher! She is a gem and I hope we will still see her often! S.E. has such wonderful and hard working teachers and staff. We will all miss those incredible people so very, very much! Now here's for another great blessing! On Thursday, that sweet girl from Shayla's new class called and invited her to come over on Friday. After Shayla was finished with dinner at the Mill she finally had that play date. (And she had a ball! When Shayne went to pick her up last night and came back home without her he joked, "She's not having any fun at all......she needs her pillow, pjs, and a toothbrush. They invited her to stay overnight and she really wants to." Feeling like we know the wonderful family, we were both totally fine with that so he let her.) I cannot possibly thank her kind parents enough for having their daughter call Shayla like that. When we went to pick her up before her horse lesson this morning, the sweet mom opened the door saying, "I'm so proud of you on your new job." I could only say, I'm so proud of YOU!" In the midst of raising five young children, she got her doctorate and now is a professor at the university - incredible! 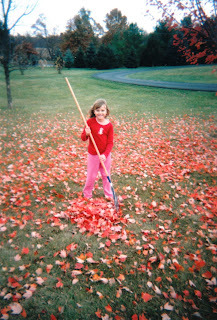 She kindly offered to help out when we needed it by having Shayla over. I kept commenting to Shayne last night, "WE should have taken all of the children and given them a break! They probably never get one!" I am still just shocked at their kindness. I'm certain Monday will not be as scary now that Shayla knows another girl in her new class. May God be with Shayla this week and help her transition to the new school. As I sat watching the awards ceremony take place, I wondered which student was "Jim" Christi's 2009 'Berg Scholarship Winner. After about 45 minutes, I found out - what a fine gentleman! Sweet Dr. Arnold-Grine asked Shayla to come up on the stage to help present Jim with his scholarship award this afternoon. With the awesome interim Heidelberg University President - Jim T.! He told me he teared up when he saw Shayla come forward, realizing she is now as big as Christi ever was. After the celebration, we took Jim out to dinner at the Pioneer Mill. It was a lovely night as we sat out on the deck and got to know a little bit about him and his desire to be a teacher. (We hope he will be student teaching at Shayla's new elementary school in the fall. His letters of recommendation were glowing and we've heard so many grand things about him. We wish him the very, very best and are happy to help with his final year of school at a wonderful place - Heidelberg! May God richly bless him and may Christi be watching over him and keeping him safe too! He really surprised me by giving ME a gorgeous boquet of flowers after the ceremony! Too sweet! (I don't think Shayla will be this scared! 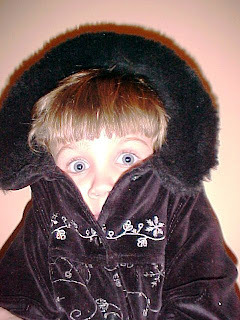 PHOTO: March 2003, age 4, in our room at the Ronald McDonald House, just joking around)Much to my shock, Shayla told me as we drove to school yesterday that she would be starting at the new school on Monday. (That makes her last day at Seneca East this coming Friday.) Wow. That was a tough one for me, but I think it was the very best possible choice she ever could have made and I’m sooooo glad she did! I'm so proud of her! A very, very sweet little gal from her new class called over the weekend and invited her for a play date. (How about that for amazing?! I'm still shocked.) Shayla, always up for a play date, did not receive the message because I didn't check the messages until it was well after the phone call. Much to my surprise and delight, the little one called back to chat with Shayla another day. God is good! I think that, combined with the fact I told her I didn't want her to worry about it all summer and that I felt it would be best to start sometime within the next six weeks, helped her make up her mind to start there on Monday. That will give her 5 1/2 weeks and hopefully, next August, she won't feel like "the new kid" anymore. This morning as we drove to school I asked her if she was planning on telling people or if she wanted me to do so. She told me that she told her main teacher (Caroline) yesterday and that her teacher started to cry and then so did she. 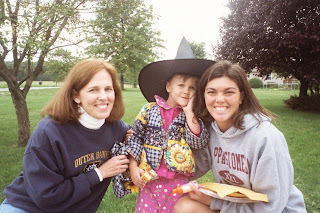 (PIC: Fall 2002, One of my sweet, sweet students now who turned out after this photo was taken to be one of Christi's best friends and one of my sweet, sweet colleagues at a fundraser the school had for Christi's medical expenses.) Arriving at school today, I ran into Caroline early this morning and she told me how sad she was about letting Shayla go, but that she really thought it was the very best thing for her - and for all of us. "You need to turn your back and walk away from this place. We are holding you back. It's a reminder of the bad times in your life, all the reminders of Christi you have to face here everyday." I couldn't agree more, but it's going to be oh so hard when I do leave. I have a couple of students that say each day, "I'm going to be so sad when you leave." I've almost been in tears myself about it, yet when I think about my new job a little disbelieving joy enters my heart as I know I will be very, very happy at BGSU. I still cannot believe they really picked me for the job. Yesterday, we received incredible news! I knew Tiffin City has much tougher requirements than Seneca East does for qualifying for their gifted program (not called TAG, but called HEIGHTS). I hoped Shayla’s scores would be high enough to make it and I spent much of the weekend worrying about it. When I finally broke down on Monday and told Shayne of my concerns, knowing he wouldn’t know of the differences regarding gifted servicing requirements between schools, he said, “So are you going to tell her she was gifted one day and not the next?” Oh, I prayed and I prayed she’d qualify. Thank God she did! 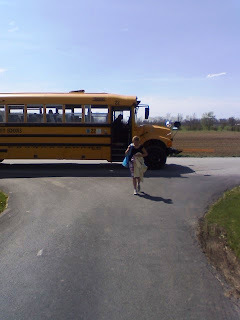 At the elementary school they told her their 4th grade gifted program has four kids in it that get on a bus and ride into Tiffin to another school one day a week for their gifted instruction. Except for the “bus factor” that’s the same full day, one day a week service Shayla currently receives (and LOVES). Later she asked me to drive her past the school where they meet so she could take a look at it. I then worried she wouldn’t qualify and I’d have to let her know she wasn’t going. When I received word late Tuesday night, I cried with joy. I don’t even know if she’ll like it, but I just didn’t want to have to tell her she couldn’t go since TAG day is currently her favorite day of the week. Whew! We are very lucky! Happy Birthday to the World's Greatest Husband and Father! We love you, Shayne!! Earlier this week, I told her where we were going to spend Saturday and asked her if she wanted to wear her pioneer girl dress. She told me yes and said, "Wouldn't it be neat if you would dress up in an old-fashioned outfit too?" I told her I'd ask Mrs. Wagner if she had a dress that might fit me since she's an amazing seamstress (She made Christi's First Holy Communion dress) and has some dresses she wears for our town's Heritage Festival. Mrs. Wagner fixed me right up and Shayne even borrowed State Representative Wagner's hat, arm bands and bow tie too. We had a blast and were caught by surprised every time other guests asked to take OUR picture. Too funny! Of course we had to give ourselves new names for the day. Shayla was "Samantha". Shayne "Hawkins" (Samantha's driver) and I was "Grand Mary" and very wealthy and generous! What a hoot! As we were returning back to Toledo, Shayne said, "Shayla studied Ft. Meigs this year. Do you think we should take her there?" I said, "Absolutely!" So we stopped to visit Ft. Meigs in Perrysburg late yesterday afternoon, then had dinner in Bowling Green. As we drove past campus, many outdoor parties (obviously involving a lot of alcohol) were taking place. Shayne muttered, "I can't believe you're walking away from 7th graders for this." I told Shayla to close her eyes because college was really nothing like this and all of the good kids were in their rooms studying. Hmmmmmmmmmm. Ought to be an interesting year next year. Oh, my! Actress Shayla outside of Ft. Meigs pretending, "The Indians are coming!" 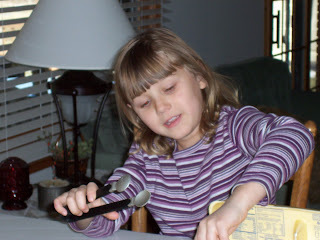 While scrap booking with Shayla, I came across some new pictures. My pictures are my most treasured possessions so that brought me great joy. I hope you enjoy them too! Christi always took a liking to "Rudy". 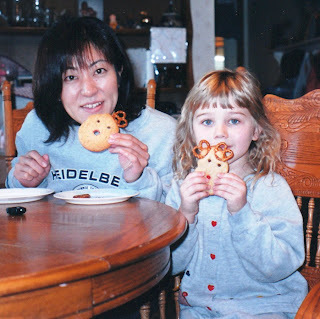 Here she is with Shayla and with one of our former Japanese Teacher Exchange gals, Saiko! 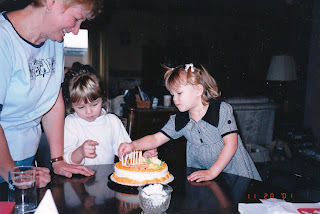 The girls are celebrating my last birthday before Christi was diagnosed (Nov. 2001). 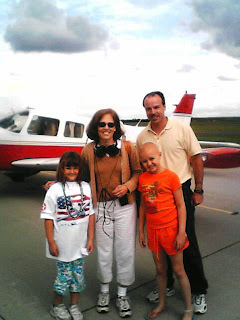 I wish we could go back to those glorious days when I didn't really know anything about cancer. Ahhhhh, ignorance is bliss! Saiko wanted her picture taken with a mailbox. 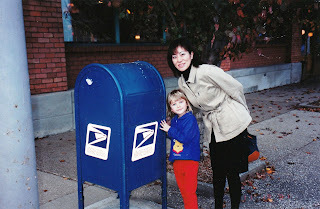 We couldn't really understand why, but here she is with Christi - and the mailbox! Hee hee! 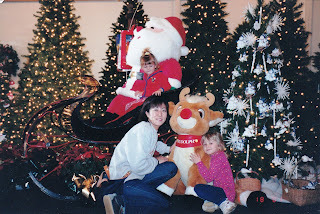 When Christi made her "Make a Wish" trip to Japan in 2003, we were reunited with Saiko (and the beautiful Miyuki and Mika) who really rolled out the red carpet for us. It was simply amazing! We miss those Japanese ladies so much! On Monday, our school was on “spring break”; however, Shayla’s new school district was back in session after a week off. Therefore, I made a 10:30 appointment with the school’s principal to receive the grand tour. I thought that would be a good way to help transition Shayla and to make her more comfortable and less fearful about switching schools. About a week ago when I told Shayla that the only time we could go to tour her new school was on Easter Monday she kept right on working on her crocheting only replying, “You can go mom. I’m not going to.” I told her that was not an option. Soon after, I asked one of my new seventh graders talk with Shayla about how helpful it was for her when she toured our school last year before starting this year. I think that helped. I also shared with Shayla the nicest, most welcoming email I received back from the new school’s principal after I emailed her telling her I took a new job and that Shayla needed to return to her home district school, that I actually cried after reading it because I knew Shayla was going to be fine. I can say, after spending two hours there, it was even better than I had anticipated and I have always heard fabulous things about this elementary school. 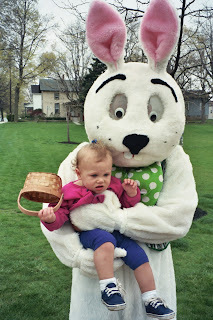 Thankfully, Shayla saw about 8 girls she knew from dance (one will be in her class) and a very sweet gal from a wonderful family she met at the CT Easter Egg Hunt at Tiffin University. Shayla worked with the band teacher to select her instrument (the flute), had time to chat with both the fourth and the fifth grade teachers, checked out the restrooms (I thought it was important that she go in the rooms to see that the stalls have doors, etc. because I know how little minds can conjure up all sorts of scary things), and we had complimentary lunches in the cafeteria where Shay ate with the fourth grade girls (all 8 of them, 20 boys), and I ate with the principal. Every staff member raved about how wonderful the 4th grade class is and I was surprised how many teachers I knew, or who knew us. I was also surprised how very, very close the school is to our home. I made the round trip drive in many fewer miles than I do driving just one way to our current school. Since I will only need to be on campus two days a week for the fall semester (They don’t want to overwhelm new faculty I was told. ), it will be nice to be close-by if I’m ever needed, or if Shayla wants me to volunteer or something. Guess what! I toured my new school. I bet you want to know how it went. Well, everyone was nice, but they looked at me like: Who in the world is she? Lunch was CRAZY! There was a cold pack with a bun and some ketchup. And there was a hot pack with a sandwich (minus the bun) and 5 fries! Weird, hun? The people I sat next to were nice. One girl I met earlier at my sister's egg hunt. I liked how she waved at me in the hallways and was real nice to me. The band teacher had me try out for an instrument! I wanted to play the flute, but clarinet was my second choice. I couldn't get a sound out of the flue. He said I have a dip lip but we could work around it. The clarinet was easy, but it didn't feel right....he told me to get the one I could picture myself playing. I had wanted to play the flute since 1st grade so I got the flute. Well, hope to see you soon! Later Monday evening Miss Shayla said to me, “How can it be such a great school if it’s so small?” I asked her where she ever got the idea that small schools weren’t good schools. I also shared with her the printed reports from the state department of education comparing our current elementary to her new one (a lot of it based on test scores). I told her my feelings about test scores and that I thought they weren’t important and that they didn’t mean a thing, but that others use them to try to compare schools, even though that is ridiculous. I told her I thought that was totally wrong, but when I shared the very top statistic in huge print on top of both reports which showed her new school at 100% and her current school and 67% she got a huge smile on her face and said, “Really? Tell me what that means.” I went through the two 8 page documents with her, comparing the two schools and continually reiterating that I thought all of this testing stuff was bologna and that I like the title “No Child Left Behind” because it sounds good in theory; however, I think it really stands for “No Child Left Alive” by placing so much emphasis on standardized testing and pressure on children. Last night after our nightly routine where I read to Shayla and then Shayne reads to her. I fell asleep. Shayne soon woke me up and said, “Isn’t it great Shayla is excited about starting at her new school?” I said, “Where did you get that idea? I don’t think that’s the case.” He said, “She told me that just a little bit ago.” I was so thankful he came to tell me that and woke me up. It’s been a long time since I slept so well! Now I’m not certain if she’ll start there in a couple of weeks and finish the year out, or if she’ll wait until August, but I do feel much better about it all. She is very intrigued that the 4th grade field trip will be taken to the Amish Country at the end of May and that the 5th grades are treated like "The Seniors" because they are the "top dogs" at the school before all getting together at the one (very large compared to what we are used to) middle school for grades 6-8. Buckeye has been hanging out in Shayla's Easter basket, sunning herself in the window this week. I did not get out Christi's basket this year. I think I just didn't want to see it empty so I left it in the basement. 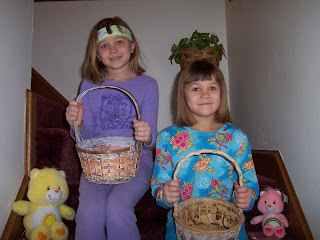 HAPPY EASTER, 2009! Shayla had to climb a tree to find all of her eggs this year. 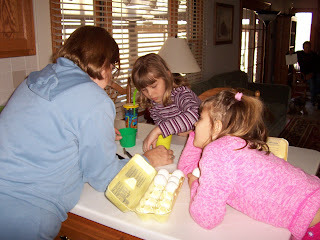 Thanks to sweet Grandma Nee Nee for coming over Thursday, when I had to work, to color Easter eggs with Shayla. Shayla loved it and I came home and everything in the kitchen was spotless, ahhhhhhhhh! THANKS, Joan! Shayla with her Easter treats. He is risen! The annual "stairwell picture" (April 2009) I put this shirt out for Shayla to wear because I think it will be one of the last times she wears one of Christi's shirts. Shayla has now outgrown nearly all of Christi's clothes; it's a very odd feeling. Last night was so lovely! We picked up a pizza and called some friends to see if we could come and visit and thankfully they were home so we did just that. We also went to see their new house they are buying on Monday. It is wonderful! We wish them many wonderful years there! I just wanted to thank you my self for the wonderful surprise when we arrived home last night. As soon as the kids saw the sign, they yelled,"We have been Tee Peed" Although they did not see any toilet paper, that was their first thought. One grabbed the sign right away and brought it inside. After they all read it they were so excited to head out. 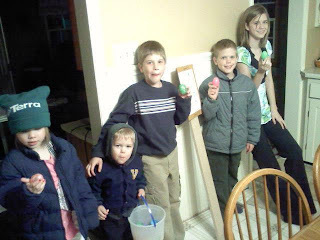 The kids were scrambling to find the eggs and figure out what all the eggs said inside. 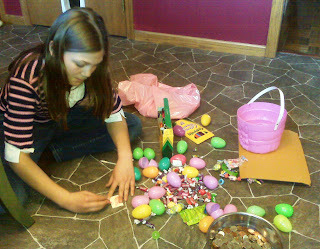 Jessica opened her egg and said "Look at all the money"!!! She smiled from ear to ear with her toothless smile. Thank you again for your love and kindness. 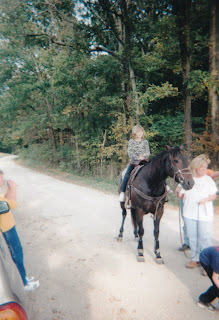 Little Miss Shayla: You worked so very hard to color and plan for this special hunt . Thank you so much for your kindness and spirit! As we were picking up the eggs, I saw the eggs laying back by the tree were the girls had tee peed just a few years ago. It made me think of Christi and Shayla and their lighted shoes blinking in the night as they scrambled to decorate our house in white decor. Thank you again dear friends. May you have a HAPPY EASTER! Well the bunny has arrived so nI think I'll head back to bed until Miss Shayla crawls in and let's us know "It's Easter"! Of course we will never forget the horrors taking place within Christi's body in the spring of 2006. When I was with her in Philly and Shayne was trying to explain the seriousness of it to Shayla who talked to Shayne about Easter being all about hope. We will never forget sweet Shayla saying that. We will never forget how much Christi loved Easter. I hope tomorrow is a gentle day. I know this Easter will be the first Easter for many moms without their children and I know that will be hard. They are in my prayers, especially Erin's family. 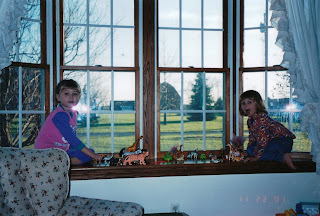 Shayla wanted me to post this on the blog. We were all freaked out by Buckeye's eyes in this picture. 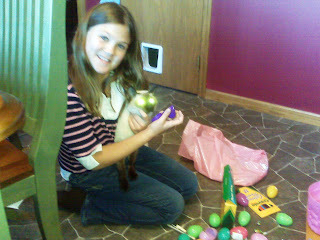 Shayla wanted me to say, "Laser Vision Explodes the Eggs". Ahhhhhh, exactly what you'd expect from Shayla....and this crazy Siamese cat of Christi's!